CEO Masaki Wada had a lecture for Technical Intern Training Program (TITP) Vietnamese workers on November 7. 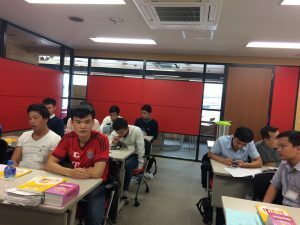 This was a seminar which explained Japanese labour law, Immigration Control and Refugee Recognition Act, and TITP scheme to newly arrived TITP workers. 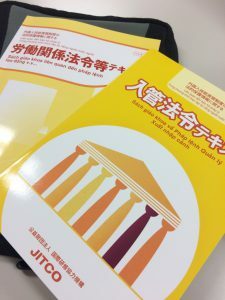 This was a one-day seminar and mainly conducted in Japanese, sometimes translated to Vietnamese. The story of law is difficult even for Japanese, and workers seemed to struggle to understand. But Masaki asked questions many times and workers tried answering. Workers were worried about whether they could pass the exam when they take at the end of the 1st year training. Their technical intern training has just started. We hope they remind their original intention and what they learned. Copyright Energetic Green. All Rights Reserved.